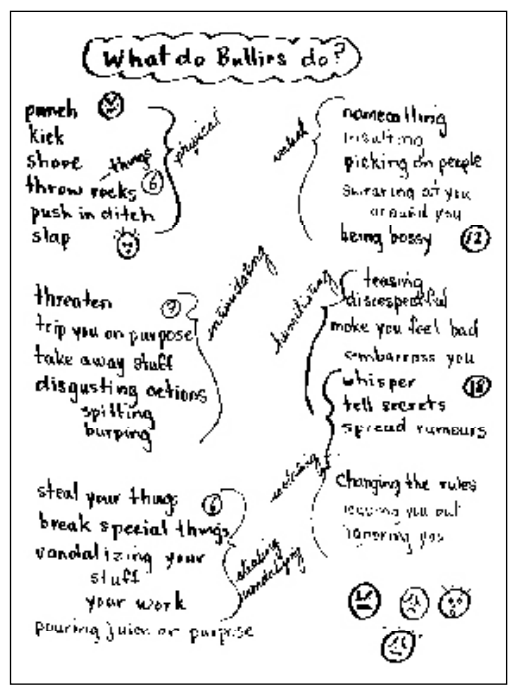 Below is an activity from Names Will Never Hurt Me to use in your classroom, and on the next page is a poster of “Stoppers,” examples of assertive language to help children avoid being bullied. Verbal bullying is much more prevalent than physical, and it bothers more children. At first, young children and parents tend to think only of physical aggression as bullying. They are less aware of verbal bullying and intimidation until we continue the talk about what feels bad. Gradually they recognize the many other forms and start to develop the vocabulary needed to describe what is happening. Older children think first of verbal rather than physical, suggesting how painful the intimidation has already become. 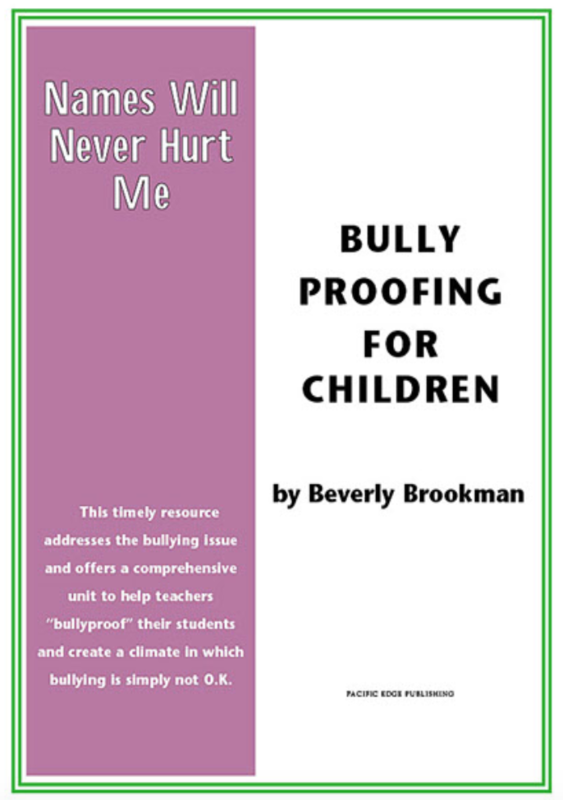 In this lesson, children recognize and acknowledge the significant impact that teasing and bullying have on themselves, classmates and the safety in their environment. 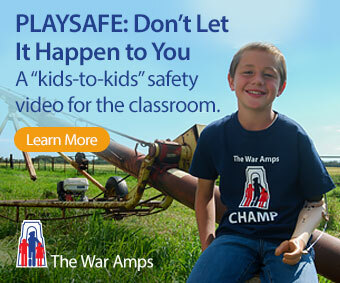 Children link bullying to emotional reactions, power and helplessness. Children will list different bullying behaviours. Children will recognize the effect of behaviours such as exclusion and intimidation. Children will assess which type of bullying behaviour hurts them the most. Children will recognize that the most prevalent kind of bullying behaviour is verbal and understand the need for verbal self-defence. 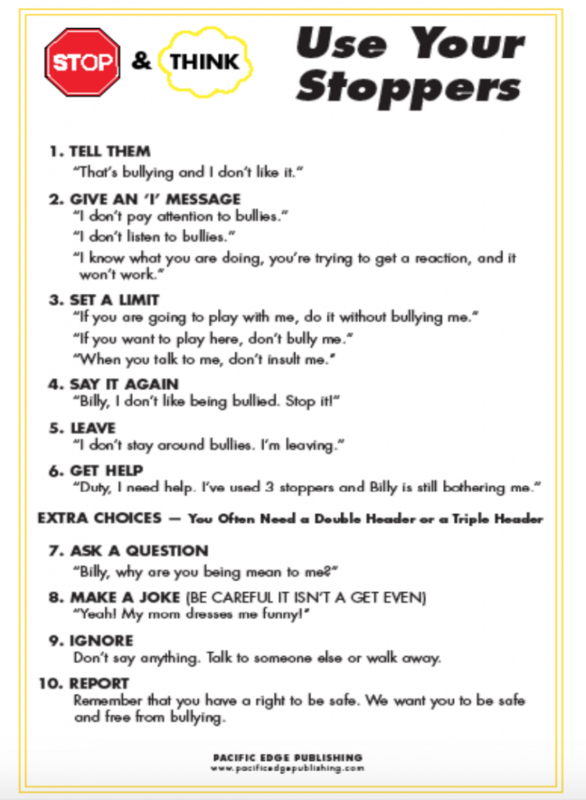 Ask the children to give examples of bullying behaviours. Record their responses on chart paper. Keep asking: How else are people mean to each other? How else do people hurt each other? Once the page is full, ask the children how the bullying behaviours could be grouped and labelled. This is the time to extend the children’s thinking. Gradually elicit from the children generalizations such as those given in the sample chart below. Give each child two sticky dots (or ask them to use markers) to “vote” for the two behaviours they feel are the most prevalent or bothersome in their class or school. They can also just give a show of hands and vote twice. Ask: What hurts you the most around our school? Children seem to be very interested in this part of the lesson. Invariably, they find the verbal harassment and intimidation to be the worst: at least twice as many votes. Reinforce the reality that the verbal teasing or harassment is by far the most hurtful. Refer to the Sticks and Stones song: names do hurt us, and we want to do something to help. We can learn to speak up for ourselves and keep some of our power. You can see we need verbal self-defence, and that is what we will learn. That’s bullying me. Stop it. If you are going to play with me, do it without bullying. I know what you are doing. You’re trying to hurt me. Stop it. You’re trying to get a reaction and it’s not going to work.